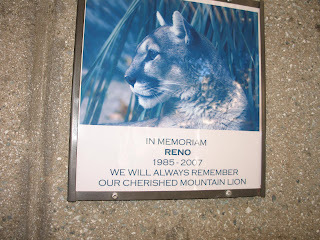 The Living Desert now has a plaque to remember their mountain lion, Reno. He actually lived for 22 years! 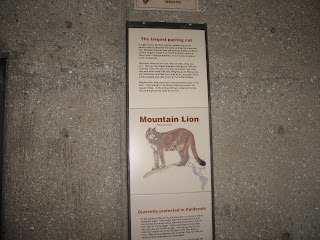 They now have the remaining female mountain lion in the exhibit and I saw her Monday afternoon. 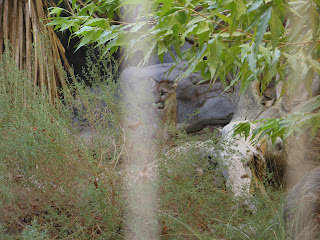 You can see the wires on the exhibit. She was in the tall grass, but she did poke her head out for a photograph! Wait until you come across a wild one in the mountains here! IT's spookey , but they are beautiful!